Loaded with built-ins and custom accents, the "Dotlich" Grill Island Project by Leisure Select will instantly upgrade any backyard, porch or patio. 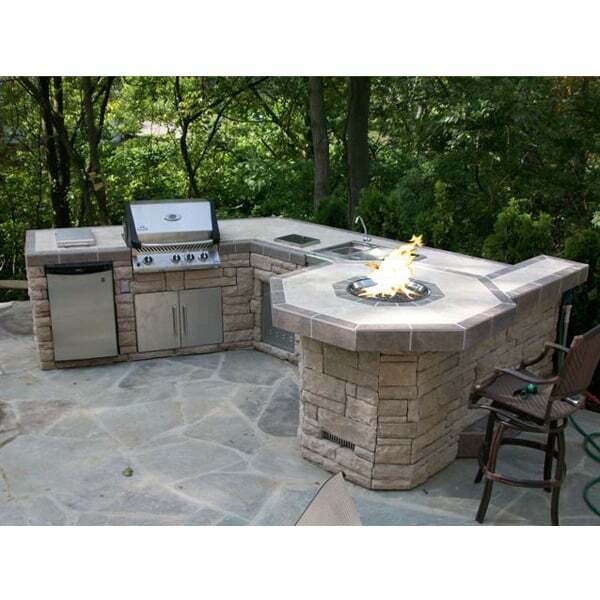 With this Project you gain a wonderful Grill Island and attractive Gas Fire Pit, creating an Outdoor Room where you can grill steaks while your guests warm up or socialize by the easy-to-start gas fire pit. Grill islands offer a space for cooking and mingling with visiting family members and neighbors, acting like an outdoor kitchen. And the "Dotlich" Grill Island Project by Leisure Select comes loaded with special features and built-ins, such as the fridge, storage box, sink, grill and fire pit. 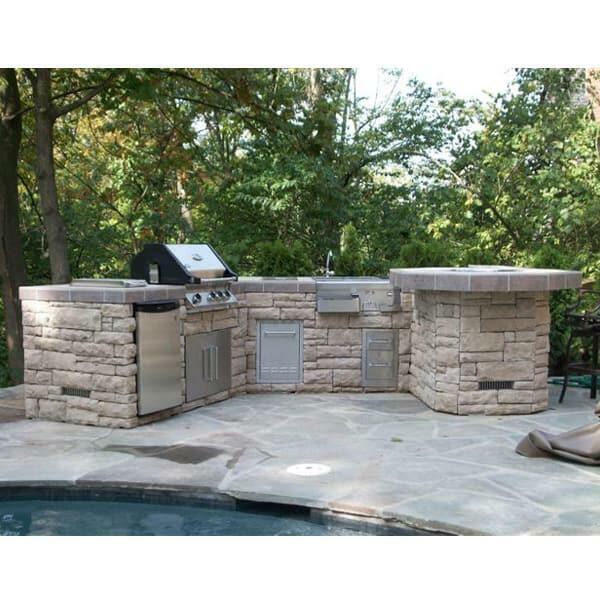 This grill island is all-custom, from the cultured stone and tile matched to the home's exterior, to every accessory and appliance, hand-picked by the homeowner to match their outdoor cookout needs. So upgrade your outdoor entertaining this year! Contact us today and ask about the "Dotlich" Grill Island Project by Leisure Select.